Collaborative project with Joya: arte + ecología, Parque Natural Sierra María-Los Vélez. Almería Spain. Watershed: Propositions is an experimental research project that explores the potential of sculptural forms to gather dew and rainfall in water stressed environments. 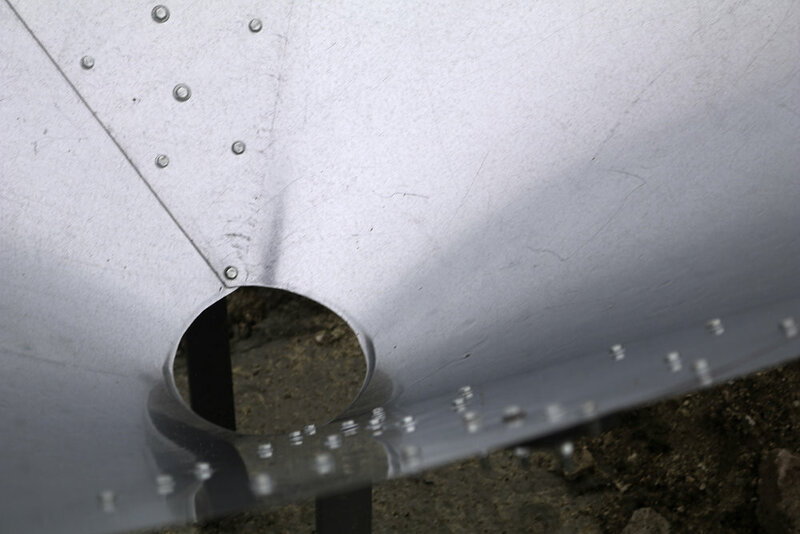 The galvanized steel sculptures will funnel and direct scarce rainfall and dew to swales on terraced land to assist in the growth of food and trees. The collection of moisture on the sculptures will help to form habitats for birds and insects for pollination of the plants and trees. The sculptures will be monitored and adjusted over a period of a year to establish the most efficient form for each of the functions. Many thanks to Annika Berry for sculpture construction assistance. www.annikaberry.com Photos: Anna Macleod, Annika Berry. In 2014 Anna Macleod received the ¡TOMA! 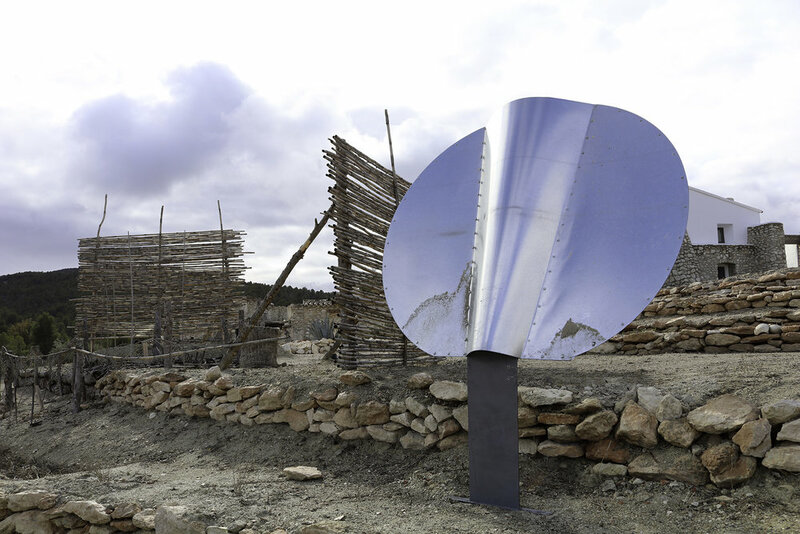 Residency award for Joya: Arte + Ecología. Spain. This project was supported by an Individual Artist Bursary from Leitrim County Council, Ireland. Watershed: Propositions is an ongoing project for Sistemas Efímeros, a trans-disciplinary collaborative project curated by Simon Beckmann that seeks ways to augment the perception of the natural value of arid landscapes. Simultaneously Sistemas Efímeros will promote sustainable and transferable adaptations to land use and water resources at a time of rapid environmental change. Currently in research phase, Macleod is developing dew catching systems for the 20 hectares farm at Joya: arte + ecología to help provide water in this rain stressed environment for spring seedling propagation. Utilising known dew catchment systems & technologies, the sculptural works will be lightweight & mobile and constructed from recycled or locally sourced materials. The models shown here are made with bees wax & paper, bound Esparto grass and flax string / Almond tree trimmings.